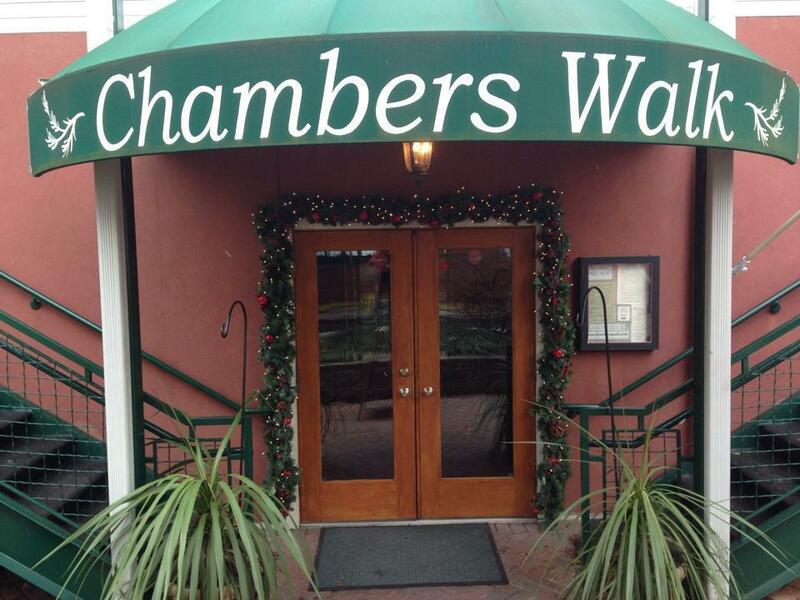 Chambers Walk was started in 1986 and began life as a cafe, located in Princeton, NJ on a small lane called Chambers Walk, hence the name. The gourmet take-out became so popular that many customers began inquiring about catering services. Initially only a select group of clients were permitted to use the catering services. With a concept that is uncommon among most restaurateurs, the Mangones felt it was better to do fewer events, but to do them with such elegance and attention to detail that the satisfied client would become their greatest salesman. The cafe, open for lunch Monday thru Friday is a great stop off during your busy day. Our express service is specifically designed to make it easy for you to pop in, have a great lunch and be on your way. Dinner is served Tuesday thru Saturday, with attentive table service. Our Monday night cooking classes have been very well received and will continue throughout the year, and the space can always be booked for private dining, whether corporate functions or a family get-together.